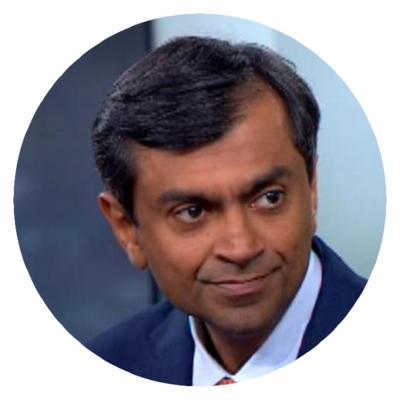 Moe Abdou is joined by Ashvin Chhabra, president of Euclidean Capital to discuss what it takes to win as an aspirational investor. The historic week that was, started on Thursday, June 23rd when the British voters took to the polls for the historic Referendum to determine whether or not the United Kingdom should remain in the European Union. Certainly, I was aware of the potential consequences; and although I wasn’t particularly surprised at market reactions around the world, still I was a bit perplexed at how once again, the media had declared armageddon. In just two days, the Dow dropped nearly 900 points, the pound sank 3.5% against the dollar to trade below $1.32, and a record $3.2 trillion was wiped out from the global markets. Panic prevailed once again — but why? By now, we all know that the week ended on an uptick and nearly everything lost was recovered, still it was stark reminder why in periods of uncertainty, our ‘reptilian brain’ wins out over our ‘rational brain’. In one of the more intelligent books I’ve read on investing, Euclidean Capital president, Ashvin Chhabra opens The Aspirational Investor by describing why ‘all too often, investors are their own worst enemies.’ Like the wisest investors before him, Chhabra continues to succeed at the highest levels because he insulates his thoughts, behaviors, and decision making from the swirl of the marketplace noise. To him, investment success isn’t about markets, as much as it is about people. It’s difficult to capture the depth of his intellect in a 30-minute conversation, still what you’re about to hear will inspire you to reexamine your entire approach to wealth management. What do investment strategies that yield great wealth have in common? Kevin Gould of Kombo Ventures discusses his evolution and how he’s adding value as an investor. Luvleen Sidhu joins 33voices to discuss the question: Why can't banks be as easy as Uber? Matt discusses being an open-minded investor at Lowercase Capital to partner with today’s greatest founders.